Today is the 20th anniversary of Apple ProDOS 1.1.1. It was created/released on 18-SEP-1984, a date burned into the retinas of many who used school computer labs in the mid-1980s. So there's the useless factoid for the day. 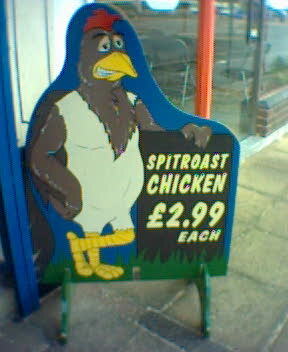 This anthropomorphic food mascot, seen in Southborough, Kent, looks like it has an acute anxiety disorder.